The debut album from Buffalo, New York’s Lieutenant comes after a long wait. With unfinished demos and pre-mastered CD-r’s floating around the better part of a decade, all loose ends were finally tied earlier this year to finally give the band’s self-titled LP the release it deserves. Featuring members spanning a number of Buffalo bands such as Lemuria, Running For Cover, To Hell And Back, and Resist Control, current (or is it former?) 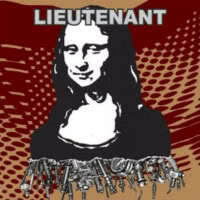 members of Lieutenant have mostly moved on to their respective labels, hence the three way collaboration on the LP pressing between Art Of The Underground, Peter Walkee, and Warm Bath.